Bellagio is considered one of the Pearls of Lake Como. One of the reasons it has remained small and quaint is because it is secluded. Trains do not go to Bellagio and the road is a curvey, narrow and uphill. From Orio Al Serio Airport, take the airport bus to the Bergamo train station and take a train to Lecco station. Bus tickets are sold in the airport near the exit door. Train tickets are sold at the station. From Malpensa Airport take the train to Varenna. There is a train station in the Malpensa terminal. Follow the signs for Malpensa Express. You can purchase a ticket to Varenna from the station. Take the train to Milano Centrale train station and change to the local train going to Varenna. In Varenna, you need to get a ferry to Bellagio. The ferry station is a 10-minute walk downhill, or you can find a local taxi. Ferries depart frequently from Varenna to Bellagio in spring/summer (less frequently in fall/winter). Read more about ferries below. From Linate Airport take an airport shuttle to Milano Centrale train station. Then take a train to Varenna. You can purchase a ticket to Varenna at the Milano Centrale station. Take the train to Varenna. In Varenna, you need to get a ferry to Bellagio. The ferry station is a 10-minute walk downhill, or you can find a local taxi. Ferries depart frequently from Varenna to Bellagio in spring/summer (less frequently in fall/winter). Read more about ferries below. From Varenna, the train station is a ten-minute walk down the hill from the train station to the main plaza. Follow signs for “Ferry” or “Imbarcadero”. The Lecco ferry port is not near the station. It’s a 20 miunte walk through the historic center and along the lake in Lecco. Hydrofoil is the quickest way from como to Bellagio. The hydrofoil port is a 5 minutes walk from the center of Como to the lakefront and boat ticket office. Tickets are sold at a ticket office at the port and must be purchased prior to boarding. Hydrofoil departs every two hours – and is a 45/50 minute ride. Ferries from Como to Bellagio are not frequent and take 2 hours. The best and quickest way: There is a blue public bus D10 which leaves from the Lecco train station, it’s a 50 minute ride. Buses depart outside the train station. Exit on the lakeside and you will see the bus stop on your left. Tickets are sold at the bus station ticket office. Bus times aren’t very frequent, approximately every two hours and takes 1 hour and 10 minutes. 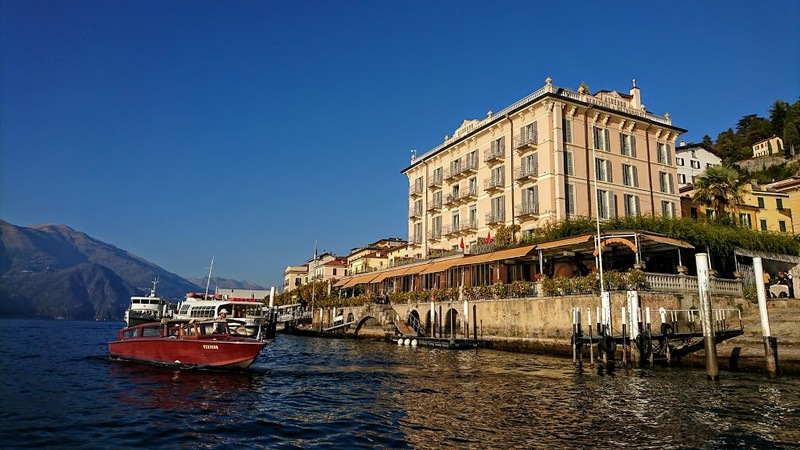 You can also book a taxi, a private car service or a private taxi boat to get to Bellagio. Contact me for more info.